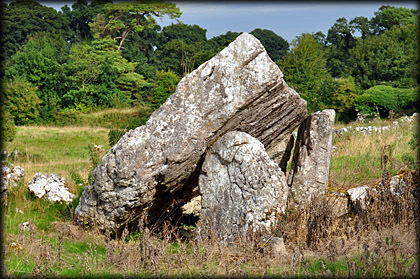 Marked on the OS map as "stones", this megalithic monument turned out to be far more than simply stones. It is a very interesting complex structure. 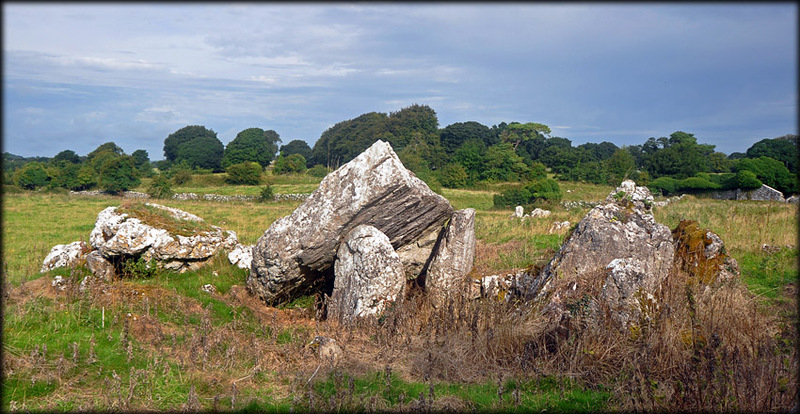 Roughly aligned east-west this monument consists of a portal tomb, pictured left, with a cist burial to the west. 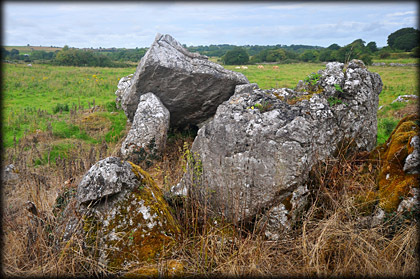 Running from the cist to the western extremity of the field is a stone wall which may have been added later. Forty metres west of the cist and south of the wall is a circular mound, possibly a barrow. 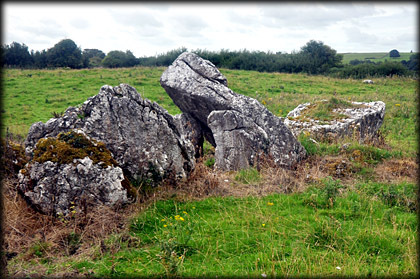 The collapsed portal tomb has a large capstone resting on two portal stones, a side stone and possible back stone. It is known locally as "Nellie's Rock" after a woman took shelter here and raised a child during the 19th century. Situated: At Lecarrow Village on the N61. On the western side of the village is the old roadway, now blocked off. The monument is up this road on your right. Discovery Map 40: M 9641 5495. Last visit Aug 2013.